One of our popular choices of yachts for a Vancouver bareboat charter, are the Beneteau fleet, which are endearingly popular to many charterers doing a Vancouver bareboat charter. We have a wide choice of Beneteaus available for bareboat charter, from the smallest Beneteau 321, a Beneteau 331, a Beneteau 393, a couple of Beneteau 40’s, a 45, and the largest Beneteau 50. So we thought it would be interesting to have a look back at the history of Beneteau and see why this fleet is so popular for bareboat charters the world over! Beneteau have been building yachts for 130 years now, and show great innovation and a real passion for yachting. The first boats were built on the quays of Croix-de-Vie in Vendee, France, then came a building, a boat yard, and the rest as we say is history! Using the latest in technologies, maintaining high values of performance, modernity, safety and relying on the pioneering spirit of Benjamin Beneteau permeating throughout the company, Beneteau has gone from strength to strength now employing 2,500 workers, with over 100,000 Beneteau yachts sailing the seas. They are proving more popular with keen owners and many a bareboat charter will be on a Beneteau yacht not just here off Vancouver island, but worldwide! 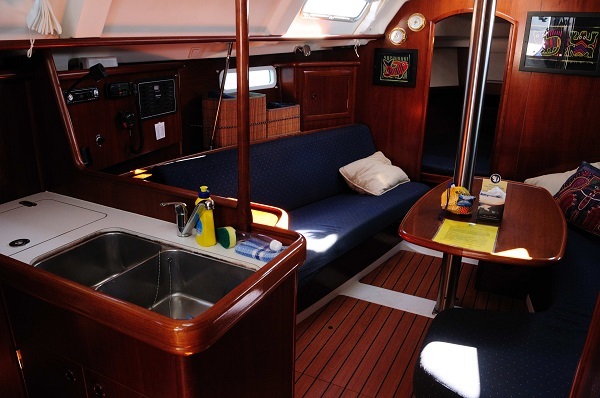 Beneteau is one of the world’s most popular sailboat brands for the reason that the standard of accommodation and comfort on board is really high. Also the quality and workmanship is second to none, and their innovative engineering ensures a high quality yacht. They tend to be really comfortable and responsive under sail, and spacious and well designed below, which is why they are a perennial favourite with many yacht charterers. Approximately 100 trophies have been awarded to Beneteau for innovation and design in more than 20 countries since their beginnings. There are 100,000 Beneteau owners throughout the world. Well all of our charter yachts come fully equipped with all essential domestic inventory, safety and navigational equipment, and also a barbeque and dinghy with outboard. Full bedding for your charter yacht; duvets, pillows, linen and towels. Basic essentials for the galley to get you started on your charter; salt & pepper, garbage bags, paper towels, aluminium foil and loo roll. Starter pack of tea, coffee, sugar and creamer. We also offer a courtesy vehicle for you to use to do some provisioning for your yacht charter, and there is also one free parking space available for you to use whilst on charter with us. 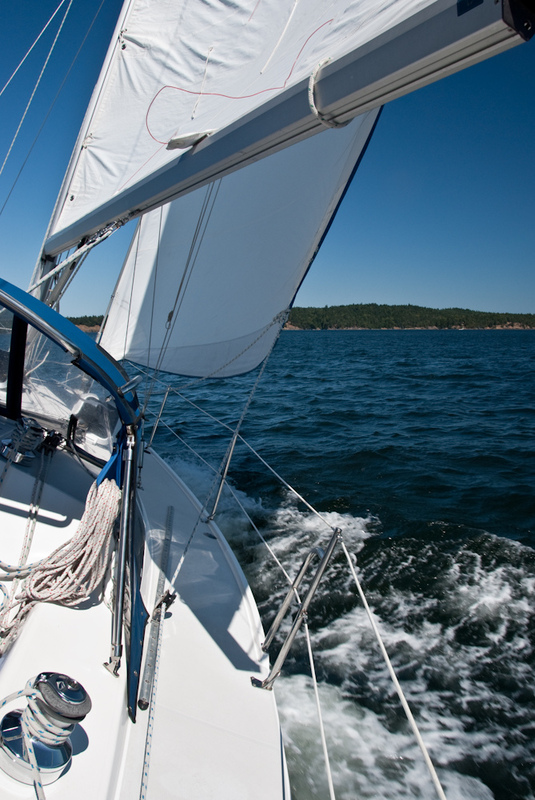 Other additional extras that are available for you to hire on your Vancouver bareboat charter are such things like crab and prawn traps, (though you will need to purchase a fishing licence) a cruising chute for your yacht; Kayaks (either single or double), stand up paddleboards and wet weather gear.